The Northern Territory Government, in partnership with the Australian Government, City of Darwin and Charles Darwin University, is transforming Darwin’s CBD through a $200 million City Deal. Excavation works are almost complete at the State Square Underground Car Park site, and construction works have begun. 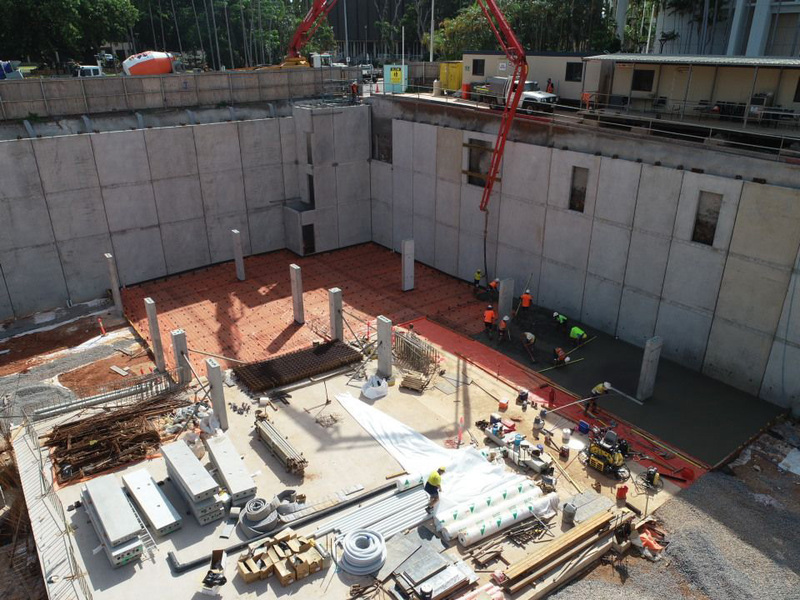 The new underground car park will enable the relocation of existing surface grade parking within the Civic and State Square precinct to below ground, freeing up space to provide opportunity for projects that will improve greening, cooling and revitalisation. The project is due to be completed by late 2019. As part of the historic deal, Darwin’s Civic and State Square precinct will be revitalised to create cool, green spaces for the whole community to enjoy through activated spaces, outdoor events and community activities. Critical to this work is the creation of a Masterplan for the Civic and State Square precinct, which has recently been awarded to consultancy firm Taylor Cullity Lethlean Limited, in partnership with local award winning firm, Troppo Architects, along with Hully Liveris Design Com Pty Ltd and Irwin Consult Engineering Consultants. The Masterplan will map out areas for revitalisation, investment and upgrades to redevelop the area into a thriving, beating heart in the CBD. The Masterplan will take six months to complete, and will include extensive community consultation. Keep up to date on our latest projects by following NT DIPL on Facebook.